A pragmatic, effective guide to developing standards-based accountability systems! 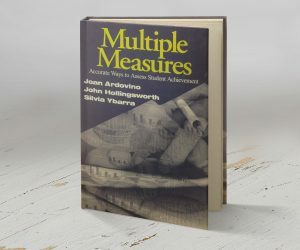 This practical guide for educators and administrators shows how to measure teaching and learning accurately with multiple measures. Developed by three of the field’s best-known authorities, from their work with 130 school districts, this easy-to-use approach includes strategic handouts, reports, and communiqués that will help you create an effective assessment program and end the struggle to meet federal requirements. All tables and examples used in the book are derived from real data derived from real schools. The information is easy to understand and offers a concise view of a critical issue in education. An essential resource for educators and administrators!